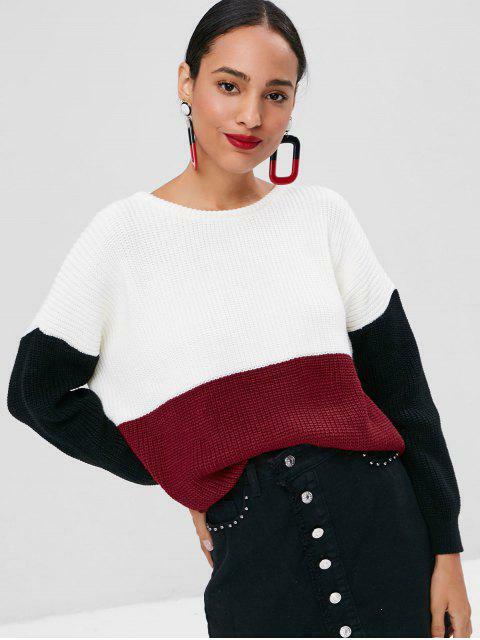 [48% OFF] 2019 Chunky Color Block Oversized Sweater In MULTI | ZAFUL ..
great sweater- great quality. only thing is it looks a little bit more wine colored in the photo- in person it is more red. I didn't mind either way but if you want a maroon and black sweater maybe not the best choice. aside from that its great! This sweater is just perfect. I get a lot of compliments every time I wear it. The colors are great, perfect for a casual outfit with a pair of jeans! 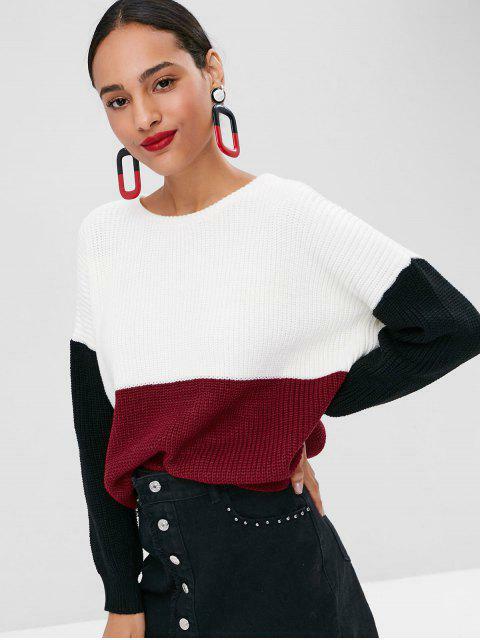 Bring a dash of bold color to your closet with this slouchy, oversized pullover in a chunky knit with a striking tricolor color block design, and dropped shoulders. Team it with leather trousers for tactile contrast.